Nominal Christian, Mormon missionary, atheist, and now a born-again Christian, Richard Morgan recently spoke to Apologetics315 about his life-changing, or saving, experience on none other than Richard Dawkins’ infamous website. Having been through his share of religious inquiry at a young age, Morgan realized that he was constantly in search of something, whether it be spiritual or not. Embracing answers in whatever shape they took, he found himself a Mormon at one point in his life after meeting two Mormon missionaries. But after becoming a missionary, he began to have some serious doubts about his beliefs, which later caused him to abandon that religion altogether. Having grown out of the need for that kind of moral support however as he aged, Morgan one day began to read Dawkins’ book, The Blind Watchmaker which revolutionized his life and made sense of everything he had been experiencing. The book made one thing clear: There was nothing to look for, so stop looking and get on with your life. “This was a real epiphany experience… to realize of course all those years of searching for something spiritual or God-like were bound to be completely frustrating because God didn’t exist. Morgan’s interest in evolution increased dramatically after reading the book, redirecting his attention towards understanding the nature of living things around him more than trying to understand things that were above. More than the religious debate, it was his interest in evolution that led him to follow Richard Dawkins. Upon finding the author’s actual website, Morgan was excited to communicate with scientists and philosophers who could offer more insight into evolution. But rather than discussing the nature of evolution in the “oasis of clear thinking,” Morgan was horrified to discover in his first forum that more than half of the people devoted their time saying rude things about believers using extremely foul language. After witnessing the discussions firsthand, the newly minted evolutionist agreed that the Internet was more a place where people could hide behind their anonymity and say rude things as a kind of therapy. Still searching for answers however, Morgan continued to be a part of the community, drawn particularly to a discussion on David Robertson’s open letter replying to Dawkins’ first chapter of The God Delusion. 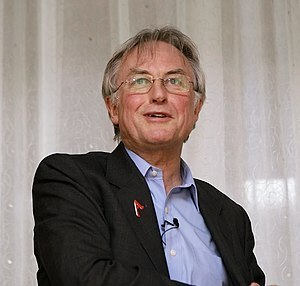 Prompted to write a response to each of Dawkins’ chapters in the book, the Scottish pastor eventually compiled all the letters into a book called The Dawkins Letters. Criticizing the book in the forums, members began to attack the letters until one day Robertson himself appeared in the discussions and began defending the points he made. “Yes, David Robertson was seeking attention but it wasn’t for David Robertson. We all know for whom he was seeking attention,” expressed the now Christian Morgan. For several days the attacks continued, until one day someone replied that David Robertson was a liar. But Morgan throughout all of the threads had not noticed this and asked where the pastor had lied, bringing him a bout of criticisms as well. “I was probably too unintelligent to see where he was a liar,” remembered Morgan. It was then that Morgan realized he did not want to be a part of these people. “I’m not condemning all atheists,” he clarified in the interview. “I’m talking about anonymous atheists on internet discussion boards and the messages they express which are extremely negative, puerile, [and] full of hate…” read on from source.